Madison Avenue West is very proud to introduce, after many months of research and testing of a variety of Skincare lines, Refineé Age-Reversing Skin Care, from Sormé Cosmetics of Beverly Hills, an award-winning line of products that combine modern scientific ingredient technology with age-old knowledge of botanicals that will help renew your skin for a younger, more radiant appearance. save 25% on all Refinee products now through March 31st! 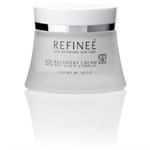 Refineé Age-Reversing Skin Care was created in the belief that the secret to youthful beauty lies within. Not just in the soul and spirit, but also just beneath your skin’s surface. Recovering and protecting that beauty is what defines Refineé products. Each luxurious cleanser, brightening exfoliant, soothing repairing cream and firming serum is made from a remarkable new fusion of the most advanced ingredient technology in harmony with precious protective botanical extracts from the earth and ocean. Refinee truly is a fusion of science and nature. T he innovative Refinee PEP-SYN™ COMPLEX pairs patented peptides that have clinically proven anti-aging benefits with complementary plant extracts that have century-proven healing power to create optimal age-reversing potency while keeping your skin soothed and hydrated. Your Refinée beauty ritual will help your skin behave like healthy, young skin that has not experienced the ravages of stress and time. Refineé will reveal the youthful beauty that is waiting to be re-discovered in you. Experience the phenomenal visible results now and for years to come. Only Refinée Age Reversing Skin Care contains the exclusive, innovative PEP-SYN™ COMPLEX that pairs clinically proven patented anti-aging peptides with carefully selected plant extracts to keep skin soothed and hydrated while dramatically working to reverse the aging process. 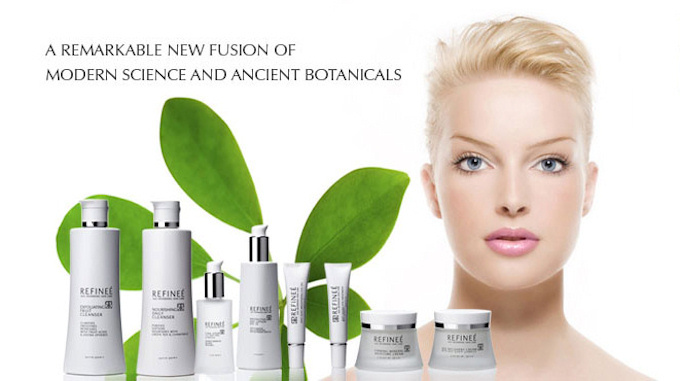 Refineé Age Reversing Skin Care uses the most exceptional quality natural botanical extracts from plants and sea life. Ancient skin care utilized these healing and revitalizing ‘phyto’ ingredients combined with rejuvenating essential aromatic oils to keep skin radiantly healthy. Select botanicals that are soothing and highly antioxidant include Japanese Green Tea, Gingko Biloba, Comfrey, Aloe, Arnica, Chamomile, and Pomegranate. Natural essential aromatic oils of Lavender, Orange, Grapefruit and Tangerine are calming to both skin and psyche. Refineé skin research has identified important clinically proven peptides that are laboratory tested and proven to powerfully benefit your skin in the age-reversing process. Matrixyl 3000® in their AGE RECOVERY CREAM helps reconstruct the deepest skin layers and activates your skin’s natural DNA to increase cellular repair. It enhances collagen production for smoother, plumper more youthful appearing skin, and greatly improves elasticity and tone. Dermaxyl® in their award-winning ANTI-AGING EYE TREATMENT peptides stimulates cell communication and promotes the repair of age related skin damage. It prevents and repairs wrinkles while smoothing skin’s surface for a more youthful appearance with initial use. Regu®Age in their ANTI-PUFF BRIGHTENING GEL from natural purified soy and rice peptides improves microcirculation in skin to help prevent darkness especially in the eye area. It reduces the aging effect that free radicals have on skin’s natural collagen and elastin to prevent lines and wrinkles and keep skin tone firm. 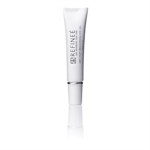 Argireline® in their LINE STOP is a powerful natural peptide (Acetyl Hexapeptide-3) that helps inhibit the formation of the SNARE Complex to help prevent the formation of new wrinkles and reduce the depth of existing facial lines and wrinkles. This ingredient mimics the effect of surgical Botox treatments. 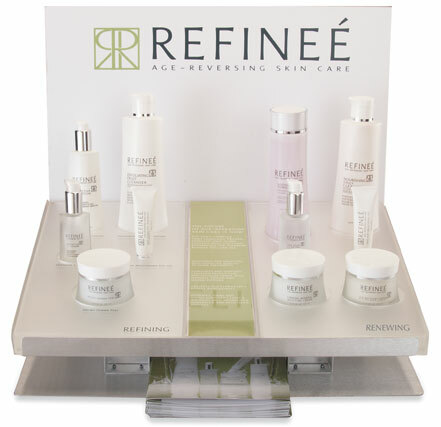 To see information on individual products in the Refineé product line, click on any of the categories below. Cleanser and skin polisher in one. Light soothing hydration plus antioxidants.